Unfortunately South Africa has a reputation for being a crime ridden country. Much of the criticism happens to be exaggerated. For the duration of your stay you will however be in the hands of Bosveld Jacobs Safaris. We will fetch you off at the airport and see you off there again. Since 1975, when Bosveld started his hunting career, we have never witnessed a single incident where our hunters were involved in any threatening episode. We also recommend that you arrange and book your after hunt touring with us so that we can take care of your personal safety. We prefer taking control of your valuables, cash, jewelry, and travel documents by safe keeping these. 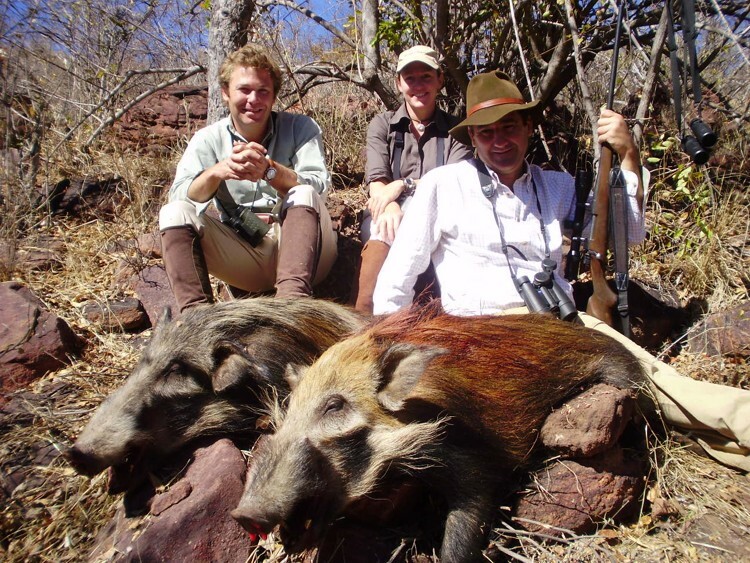 Upon deciding to book a hunt with us you should let us know what rifles you have at hand and which trophies you intend to take. With this information at our disposal we will be able to make sound recommendations regarding rifles and the kind and quantity of ammunition needed. We do however recommend that you transport your rifle, well locked up in a strong rifle case. Ammunition must also be locked up in an appropriate box and the box plus ammunition may not exceed 11 pounds (5 kg). Only ammunition that fits the caliber of the rifle that you are importing is allowed. We also have some splendid rifles and shotguns at hand that can be rented. Bringing rifles and ammunition into South Africa and collecting these at the Airport can be a long and tedious encounter. There is however an easy and affordable solution. We recommend all our hunters to use the services of a company named Riflepermits.com. All the needed documentation is available on their website and they will assist in the completion thereof. Upon arrival in South Africa you will be met by a representative of the company and he will guide you to the police counters and assist in every aspect. Under their guidance it seldom takes more than thirty minutes to have your rifles and be on your way. In fact ten to fifteen minutes is more likely. We have witnessed hunters, trying to do their own thing, remaining at these counters for up to four hours. Before departing on your trip you must obtain and complete an US Customs Form 4457. The US Customs Office, at any International Airport, can assist in this regard. It is imperative that you do this well in advance, a few months before the intended date of departure. Best is to stay in contact with us and we can assist in this regard. Please do not postpone till the last minute. For entering South Africa you need a Passport that is valid for at the least another six months. Presently citizens from the USA, Canada, UK, Germany, France and Spain do not need Visas to enter South Africa. For those who need visas, passports must have at the least two blank pages for Visa stamps. Should you intend to include more countries in your itinerary you will need more of these blank pages. It is always sound practice to make copies of your passport and other documentation and keep these separately. In the bush veldt area of the Limpopo Province we seldom take shots at animals that happen to be more than 100 meters/yards away. Shots 150 meters and more are few and far between. 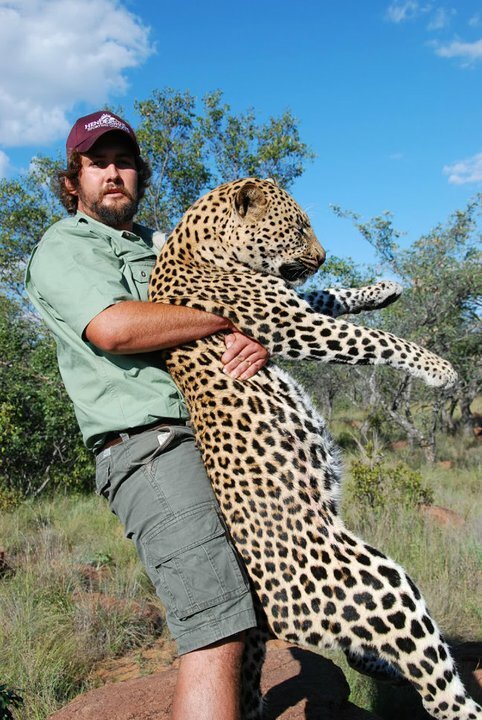 It is however imperative that hunters don’t hesitate but take the shot as soon as possible. At Bosveld Jacobs Safaris you can rely on the professional hunter to judge the trophy. The ideal bullet for this area is the heavier one traveling at the lower velocities (2 400 feet per second). Our professional hunters always have shooting sticks at hand and almost all your shots will be taken from these. You might also opt to shoot free handedly. In the open plains of the high veldt grass lands, where we amongst others hunt springbok and white tailed gnu, long distance shooting might be essential. Here we use the high velocity calibers and take our time to place the perfect shot. 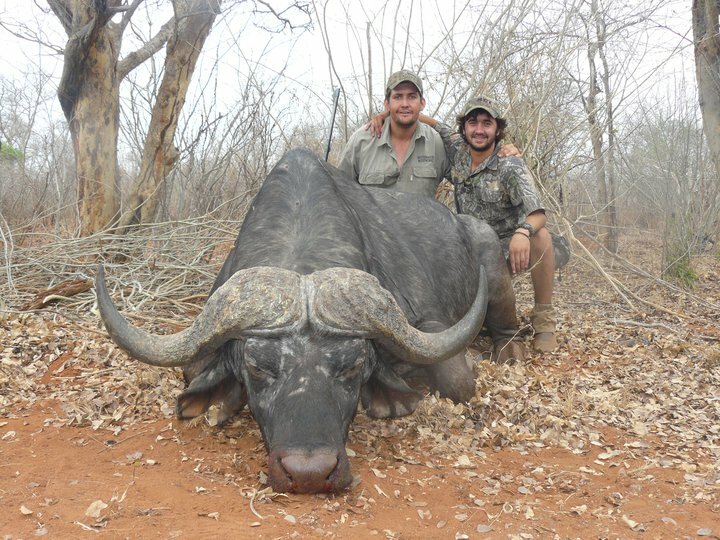 In South Africa we can hunt all year round. The land owners do take care of their breeding herds and they see to it that the hunting does not interfere with their breeding seasons. Removing some elderly males from these territories, even during mating season, remains sound practice. Although the traditional hunting season stretches from 1st of May till end of September, some pleasant hunting can be done in our summer months. Our hunting areas happen to be within the summer rainfall regions and rain can interfere with our hunting activities. Fortunately the rain mostly comes down in showers and after a vicious pour down of an inch or more within an hour, we can go hunting again. After a heavy shower the clouds usually open up and we can set of trying to locate the pot of gold at the end of the rainbow. Stalking a real fresh “spoor” with the odor of rain soaked soil in your nostrils and rays of sunshine that is breaking through the evaporating drifting clouds can be an once off and well cherished episode. 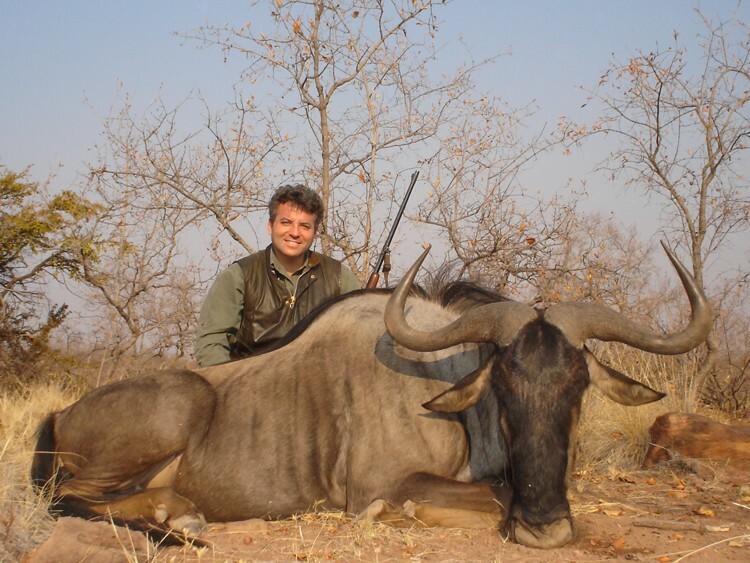 Hunters can decide on having their trophies mounted by a local taxidermist or having them shipped to a taxidermist in their country of residence (or any other country). 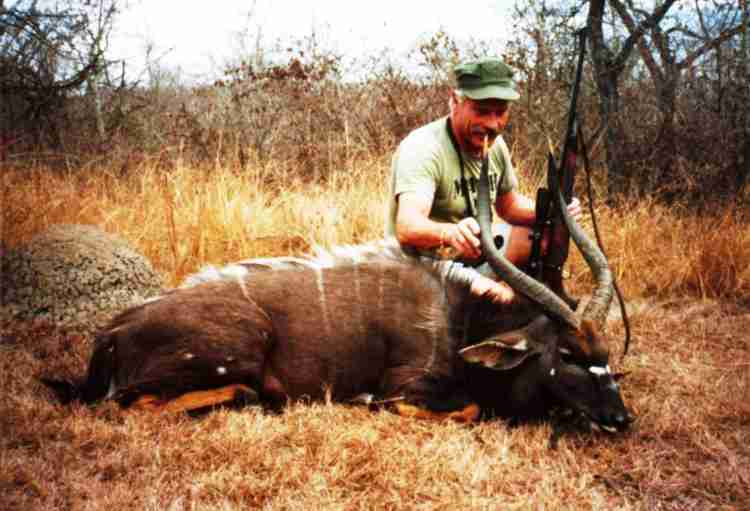 Bosveld Jacobs Safaris will deliver your trophies to a company by the name of Trophy Pro. They specialize in “Dipping, Packing, and Shipping” and they also happen to be renowned Taxidermists. Upon your request we (they) will forward your trophies to the taxidermist of your choice. After packing either the raw skins or the mounted trophies these will be forwarded to a Shipping Agent and he will forward it to the Receiving Company in your country of residence which will deliver these trophies to you. All these services are to be paid by the hunter. The trophies will only be forwarded to the next service provider in line once the current service provider one has received payment. Upon finishing his task each service provider will invoice the hunter and simultaneously provide the banking details. Trophy Pro will keep us at Bosveld Jacobs Safaris well informed on the progress of your trophies. We will also stay in touch with all the succeeding service providers, their progress and the flow of payments until the trophies reach their final destination, which happens to be you, the hunter. You will go a long way to find a country with more pleasant weather conditions than South Africa. In fact in this regard the Water Berg area in the Limpopo happens to be the ultimate; every day is a holiday. For many foreign visitors South Africa can be regarded as being synonymous with the word sunshine. Quite often our patrons return home; with their second layer of skin transformed from lily white to intense red. We recommend our hunters to bring appropriate hats. The Limpopo Province, like most of South Africa, happens to be a summer rainfall area with the rainy season stretching from mid September to the end of April. Our rainfall tends to come down in showers and many of these can be regarded as thunder storms. Quite often 2 inches (50 millimeters) of rain can arrive within the time span of 20 minutes to one hour. There after the clouds open up and we can enjoy streams and streams of mauling water accompanied by an abundance of sunshine. Occasionally we do enjoy a few cool days of cloudy weather accompanied by some drizzling rain. Our winters happen to be cold to mild. The variance between minimum night and maximum day temperatures is fairly large. We advise our patrons to bring “layered” clothing. Upon departure by vehicle in the early morning it will be cold. Soon however the sun rises and some clothing, the outer layer, can be removed. Early winter-morning temperatures might approach the zero centigrade mark (32*F). Ten to fifteen degrees centigrade (50*F to 60*F) is more likely. Mid day winter temperatures might be well in the twenties centigrade (70*F) and a trouser or shorts with a cotton shirt might suffice. Our summer temperatures tend to be mild to warm with the occasional hot spell when temperatures will reach 35* C (88*F). Most locals will go around wearing shorts, cotton shirts, and sandals. For the hunters cotton trousers or shorts and shirts will suffice and comfortable well worn down walking boots are essential. Our hunting fields are not the place for trying out a pair of brand new boots. All kinds of camouflage are legal. Bosveld Jacobs Safaris meets our hunters at the Johannesburg International Airport and drives them to the hunting camp. Occasionally we arrange overnight accommodation at a Quest House near the airport. The management of the guest house will arrange the transport from the airport to the Guest House and see to the hunters’ needs and comfort. Bosveld Jacobs Safaris deal with a few reputable Guest Houses and these happen to be well aware of the hunters’ needs. 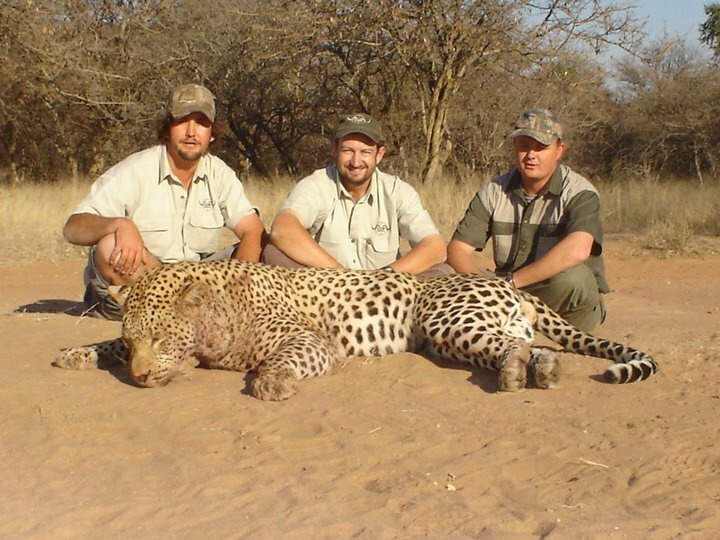 We will then meet our hunters early the following morning and drive them to the hunting area. Clients can be assured of five star treatments and will enjoy a good night’s rest. Personal medical kit. We do have a proper kit in camp. Warm jacket. For sitting in blinds soft woolen ones happen to be less noisy.